So Mrs BWM and Scarlett are off in the west of Ireland for a long weekend, visiting a friend. I’m left here alone in Bedfordshire. Am I despondent? No. I’m doing what any other re-blooded male would do when his wife goes away and he’s suddenly relieved of family duties. I’ve been out looking for badgers! Coincidentally, the weather this weekend has been fantastic. The first nice weekend of spring is always a great time in the village as people emerge after winter. You bump into people you haven’t seen in ages and the sound of lawnmowers and the smell of freshly cut grass fills the air. So, Friday evening. The closest badger sett to my house is also one of the least accessible. 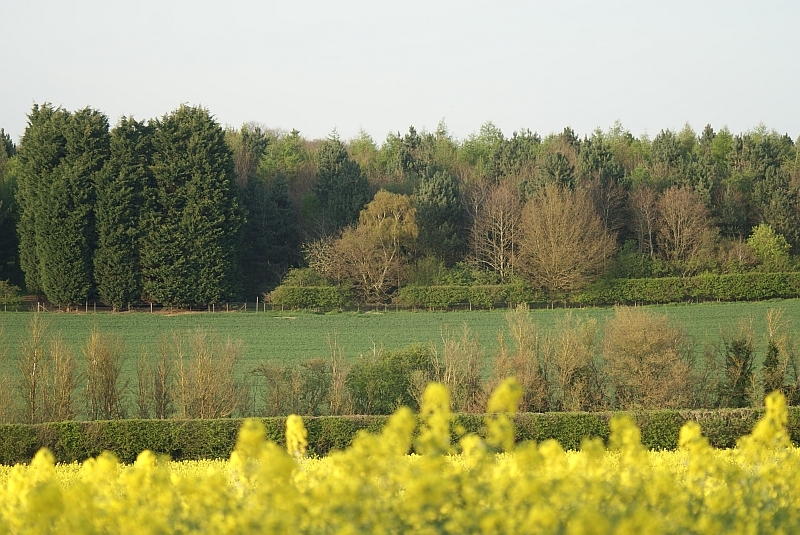 It is on the edge of a small private wood. I’ve asked for permission to go there, but evidently not asked the right people yet because I haven’t got it. However, you can sit on a footpath and look out over a small valley and watch the sett. The only problem is that it is about 350 yards away, so it is only really possible with a telescope. This is probably the longest range badger watching ever, and to be honest not the easiest, but for an hour or so after work it is only a very short walk and a pleasant diversion. 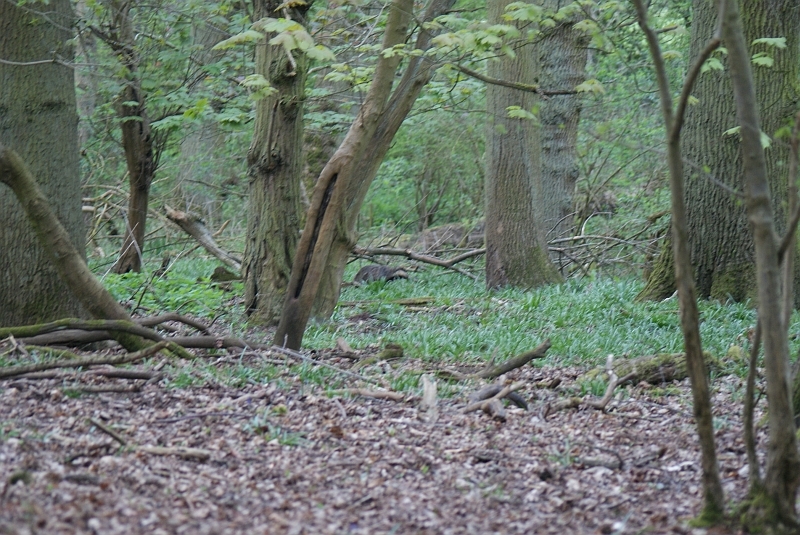 The badgers were not entirely obliging, two emerging at about 7.15pm and disappearing into the wood rather than staying in the open, but at least I was outside and watching badgers. On the way home I passed the village notice board, and saw an leaflet for a talk on ecology to be held in Ampthill on Saturday by the CPRE. Being wholly without commitments this weekend, and open to a chance to learn something new, I went along – how decadent – and a fascinating talk it turned out to be. The speaker was Hugh Warwick, hedgehog expert, who spoke about the issue of fragmenting habitat and its impact on a range of species. He is a very entertaining and informative speaker, so if you ever get the chance to hear him, do so. As well as some solid ecological science and wonderful wildlife anecdotes he had some interesting observations on badgers. For instance, the folk tale that if you have a lot of badgers in the area then you won’t have a lot of hedgehogs is confirmed by research. But it isn’t just that badgers eat hedgehogs. It is more complicated. It seems that if resources are plentiful then the two species co-exist in competition, but if resources dip below a certain level the relationship becomes predator-prey. Interesting stuff! I bought a couple of his books from him too, so I’ve got some good reading to look forward to. There is a badger in here, if you look closely! Sunday was too nice a day to waste too. After working the garden for most of the day I took a stroll to the lake in the evening, just to be out in the spring countryside. 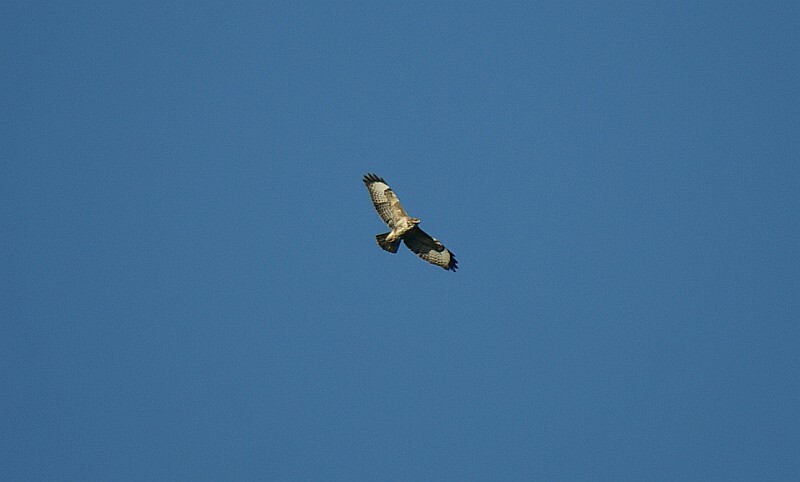 One of the local buzzards was making the most of the fine weather too. 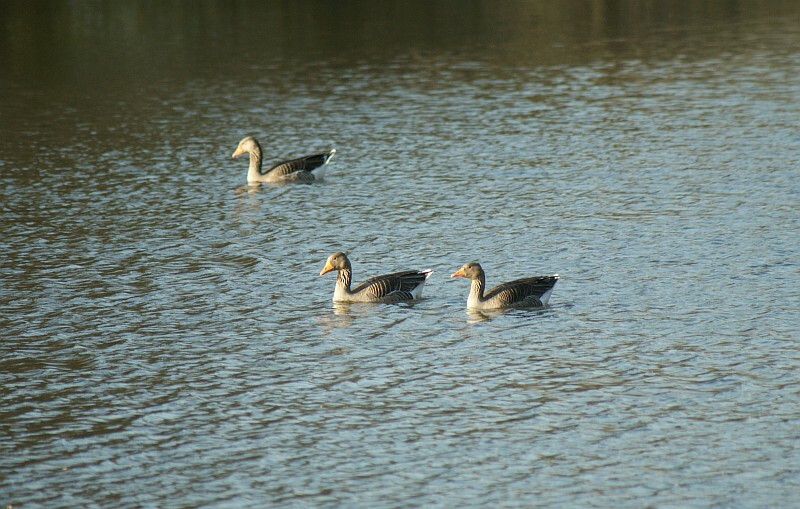 The lake was home to a flock of geese – Greylags and some Canada Geese – nothing rare but good to see nonetheless. There’s been a flock of these in the neighborhood lately, so the lake is obviously their current haunt. Here’s something I haven’t noticed before. 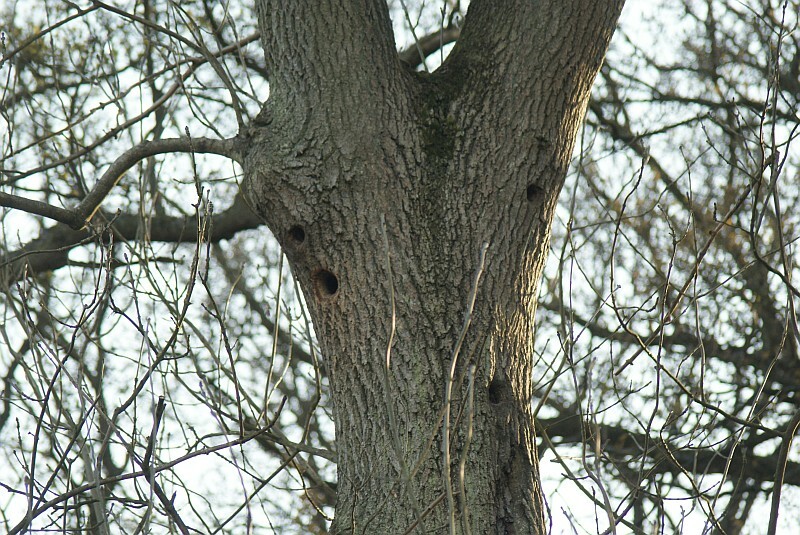 These are holes in a dead ash tree. I’m assuming they were made by a woodpecker (they were 25 feet off the ground). Do they nest in these holes? They’re too big to be just in search of food. I lingered around a bit after sunset in the hope of catching the Barn Owl that lives around here, but with no luck. And it’s chilly after the sun goes down! 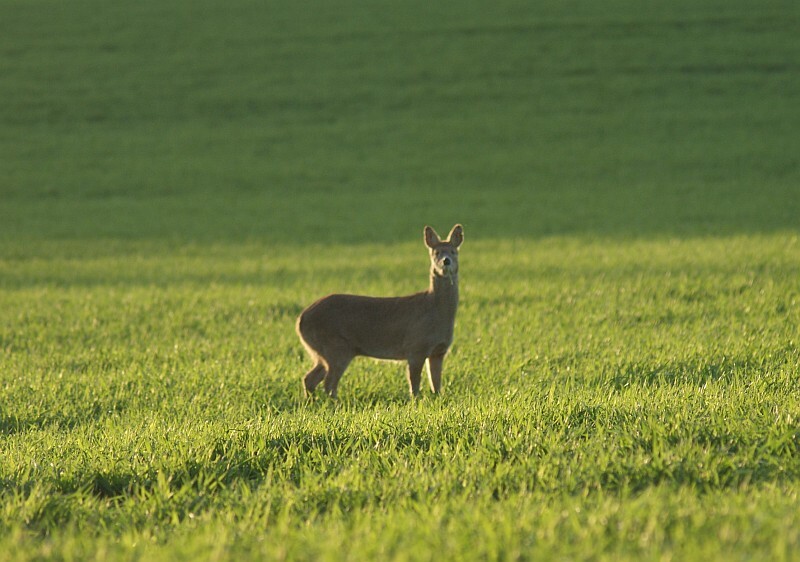 It was just me in a field with just Chinese Water Deer for company – six of these little deer, all dotted around in the growing cereal. Oddly, they didn’t seem to interact with each other at all, they all kept separate. It doesn’t matter if it wasn’t the most exciting walk in terms of wildlife seen, it was nice to just be out and about on a nice spring day. Thank you Dorothy – it’s good to be back! And I’m sure that Maryland in the spring is a very nice place to be too.